The future of British milk is uncertain as the popularity of cow’s milk has been declining in favour of plant-based alternatives such as soy and almond milk. 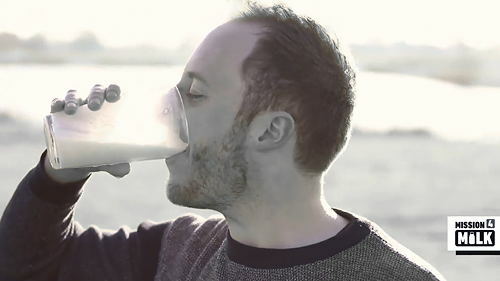 According to Jamie Oliver’s Channel 4 documentary, sales of plant-based alternatives to milk have doubled in the last five years, meanwhile consumption of dairy in the UK has fallen by 20% over the past thirty years. “Milk packaging and branding has changed very little over the past twenty years; meanwhile new brands releasing plant-based alternatives, such as soy and almond, clearly display the nutritional benefits of their products on their cartons, along with attractive branding. For this reason, many people are unaware that cow’s milk offers more nutritional value than many of its dairy-free counterparts and are choosing to leave their pint of cow’s milk on the shelf. The campaign was launched on 22nd February, in support of the inaugural ‘Februdairy’ - the dairy industry’s retaliation to Veganuary.